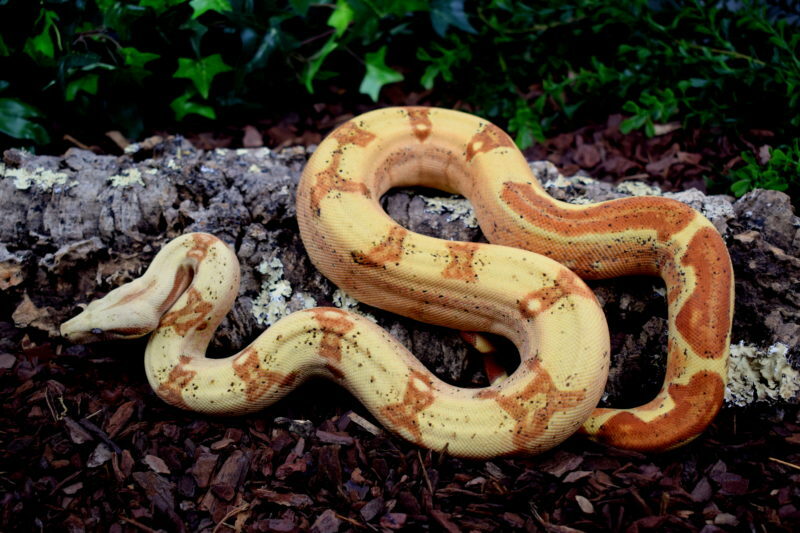 A VPI Sunglow is a hypomelanistic VPI T+ Caramel Albino. As it is for the VPI T+ Albino also the VPI Sunglows need up to two years to show their real potential when it comes to color! As babies these beauties look pretty „clean“ without any black scales, but this changes quickly after the first few sheds and gives the VPI Sunglow ist unique look! For us these animals are kind of the genetic Paradox we´ve all been waiting for so long J.